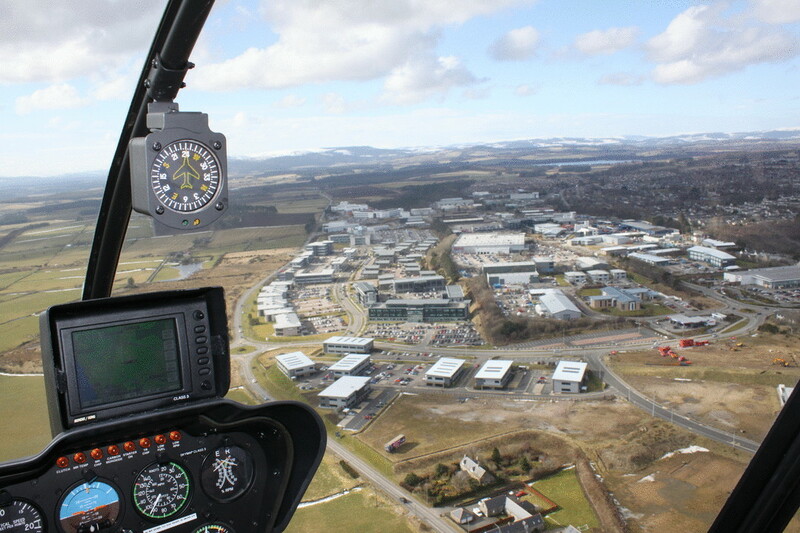 Cabro Aviation Ltd work with HJS Helicopters to promote flight training, self hire and experience flights out of the HJS Helicopters Helipad at Culter, Aberdeen. HJS offer voucher flights which is an excellent gift for any occasion. To gain your helicopter Private Pilots Licence (PPL) you can do this in as little as 45 hours flight time along with passing the 9 written and 2 practical exams. Under the CAA ORS4 1274, private flights can be undertaken on a cost sharing basis. Private flights have been used for the Perth Races, Trump Menie Estate, Raemoir House Hotel, Lochter, Deeside Activity Park along with numerous other hotels in North East Scotland. This is also in addition to intoductory flights that can be undertaken at HJS helicopters. Popular flight routes include the Aberdeen bypass (AWPR) coastal, castle and river routes. HJS have Avgas and Jet-A1 fuel available at the Culter Helipad which accepts visiting aircraft and where parking can be provided. Details of the helipad can be found here.